To say it with an expression which was familiar to him, we can affirm that his Institute was not only “the work of men, but the work of God.” He saw his Institute in continuous growth: “Our Congregation, dear Brothers, like everything else, had its beginning. To recall here the many and varied difficulties it had to suffer at the beginning would fall well beyond the scope which we have set for ourselves. One day, History will tell about them for the Glory of the Author of all goodness. As for us, we must limit ourselves saying that our Congregation is not so much the work of men as it is the work of God. At the beginning it was but a mustard seed, often in danger of being smothered; but with the blessing of Heaven and the high and benevolent protection of the Bishop of Belley, Mgr. Devie, whose memory lives forever, this mustard seed grew so fast that it is today a huge tree” (New Guide of the Brothers of the Holy Family, p. vi). 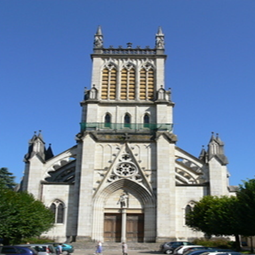 The decades of the XIX century that followed the death of the Founder, saw the continuity and development of the Brothers of the Holy Family in France. Under the direction of Brother Amadeus Depernex, disciple and successor of Bro. Gabriel Taborin, the Communities of the Brothers exercised their action in the schools, in the sacristies and in other activities. In 1874 the Institute was finally approved by the French Government. In 1889, answering an invitation by Cardinal Rampolla, the Institute founds a first community of four Brothers in Montevideo (Uruguay): It is the beginning of the spreading of the Congregation in Latin America which will soon extend in Argentina (1908) and later in Brazil (1963). In the New World, the Brothers created a large number of educational centres as a means of human promotion and evangelization of the youth in cultural contexts very much differentiated and in conditions sometimes very difficult. 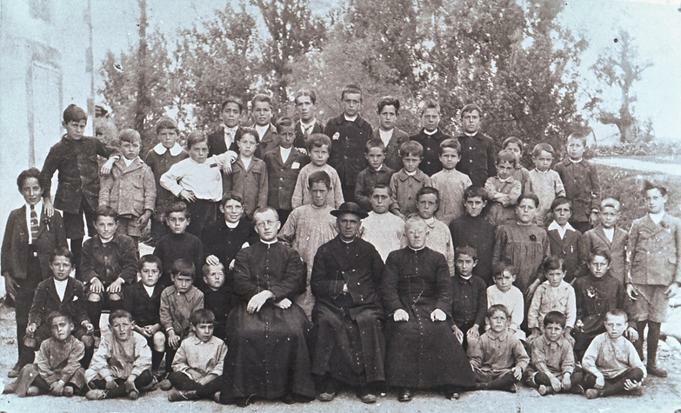 The persecution against the religious in France caused a strong crisis in the Institute but offered the occasion of new foundations such as in Tunisia (1902), in Italy (1903) and in Spain (1909). If the foundation in Africa land was transitory, the Brothers established themselves well in Italy, where, initially they moved the General Administration and the Formation House, and where they invented the products of the “Kario” brand, still nowadays marketed. Afterwards, they created schools and they inserted themselves in some parishes in the north of the country. They also developed a strong missionary activity in relation with the Brothers of Africa. 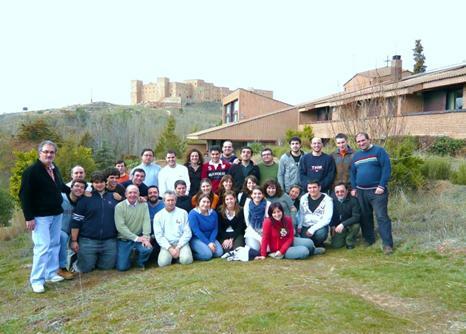 In Spain it is mainly the education and catechesis as mission of Institute that the Brothers have developed. They have schools very much appreciated by the formation both human and Christian of the children and youth. In 1958, in response to the encyclical Fidei Donum of Pope Pius XII, it starts a new presence of the Congregation in Africa through the merging with a young diocesan Congregation, “the Brothers of the Holy Family of Ouagadougou” (Burkina Faso). It is the realization of a missionary project towards which the Founder had oriented from 1854 when she sent some Brothers to the United States of America, though this initiative was not successful. At present, the African Brothers represent a very important group that work in dozen of schools of general and technical teaching, in schools of catechists and in centres of social activities. From this country, the Brothers went to Ivory Coast and they prepared themselves for new horizons. The missionary impulse (‘ad gentes’), always present in the Institute, led in 1977 the Brothers of Spain to Ecuador, where there are now three communities dedicated to education in the Amazonia, and one Formation House in Quito, the capital. In 1987, the Brothers of Italy settled in Mexico, where they live and have at present two communities. And recently a new missionary thrust has led the Brothers to Philippines (2000), where there are two Communities; India (2003), which counts today with 5 Communities and 50 Brothers; Colombia (2006); Benin (2007); Indonesia (2011), where there are two Communities; Timor-Leste (2014) and Ghana (2016). After the Vatican Council II, as the other religious congregations, the Institute of the Brothers of the Holy Family started an extensive movement of renewal that means to turn to the evangelical inspiration of the way of life, as conceived by Brother Gabriel Taborin, and to put in first place the life of Jesus, Mary and Joseph at Nazareth and the Christian fraternity in daily life, with the adaptation of the personal and community aspects to the conditions of today’s world. The new writing of the Constitutions, approved by Rome in 1986, formulated again, in present terms, the fundamental orientations of the Institute, coming from Bro. Gabriel and periodically updated in the Project of Life at all levels. Having in mind the cultural, social and ecclesial characteristics of each country, the Institute orients today its activities in line with the Christian education, catechesis and liturgical animation. As many other religious Congregations, it experiences today a strong decrease of personnel in the western countries and it is developed in the third world. The fact of sharing among religious and lay people the mission and spirituality of the Institute is producing varied forms of collaboration and co-responsibility. Among these realizations we can mention the AISF (Holy Family International Association), which brings together the schools of the Institute, and the Association of lay people called “Nazarene Fraternity”. onship with the Holy Family of Nazareth to live daily the evangelical simplicity and fraternity, make of him the bearer of a gift of the Holy Spirit, of a charism, of which the Church and the world are always in need. To conclude, the best thing is to share the desire of Br. Gabriel Taborin: “It is a very sweet satisfaction, dear Brothers, to see that the branches of this tree which we love so much, have expanded to a large number of dioceses, and that thousands of children find refuge under its beneficial shade. May it continue to grow, that it might shelter a bigger number of young souls yet, who might be otherwise withered and burned by the winds of passions even inside of the garden of the Church where they are living by the grace of baptism. Oh! Yes, may this tree we so care for continue to spread out and to bury its roots deep into piety, humility, purity and obedience, and may it be incessantly bathed by the vivifying waters of grace. May it remain incorruptible amidst the storms of passions and resist its enemies, seeking to overthrow it. May it bear but good fruit. Such must be the vow of every good Brother of the Holy Family” (New Guide of the Brothers of the Holy Family, p. vii).